We were staying in Camber which is near Rye and Hastings. 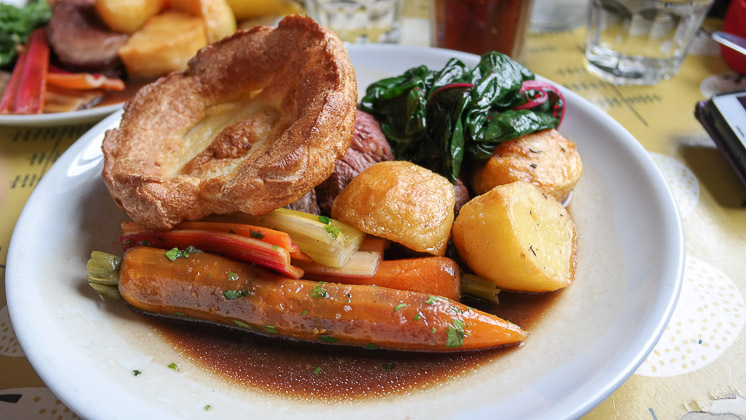 Previously, we had eaten in The Ship Inn, but not for Sunday lunch so I was keen to try out their roast! I booked for 3 people (myself, Claire and JW – our 3.5 year old). Parking was a bit difficult in Rye – there was a small car park next to the pub, but it was full. After a bit of driving around, we found a paid car park, next to a kids play area. It was about 10 minutes walk to The Ship Inn – although very pleasant walking through the historic place of Rye. There was some seating area outside the pub – we walked through one of the entrances and shown to our table on the other side of the pub. We passed board games and kids colouring sheets. Our table was in a double aspect room so was nice and bright – and quiet for most of our visit. The rest of the pub was quite dark, so I was pleased I could have some light to take decent photos of the food! 2 diet Pepsi were ordered, and some squash for JW. We decided to skip starters and go straight to the main event. We ordered roast beef all round, with a smaller one for JW – letting them know he couldn’t eat gluten, wheat or dairy. The food was served quickly and looked amazing. Large beef slices, a Yorkshire pudding (for Claire and me), 3 roast potatoes, long (heritage) carrots, cabbage and also chard. This was topped with lots of gravy and horseradish was brought over (without us needing to ask). Tucking in, the potatoes were perfect (I believe they were cooked in duck fat). The unusual coloured carrots, which took a bit of coaxing to get JW to eat, were delicious. The Yorkshire pudding was lovely tasting and I also enjoyed the cabbage. The chard wasn’t for me but it was ok and added nice flavours. The beef was mostly nice and lots of it. Lastly, the gravy – it was thin but very flavoursome. Overall a very good Sunday lunch. 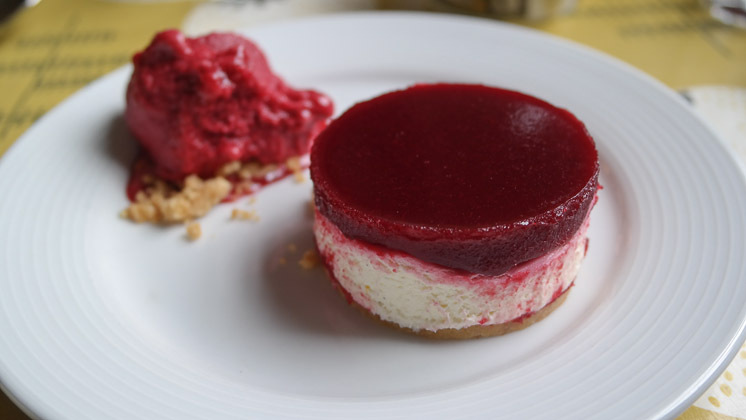 I chose the cheesecake with black cherry sorbet. 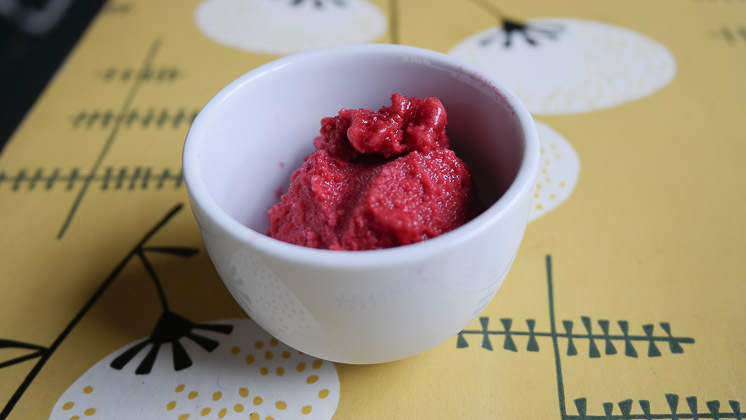 Claire ordered the lemon posset and JW was able to have some sorbet (as it was gluten, wheat and dairy free). The cheesecake was very nice, the sorbet was good. 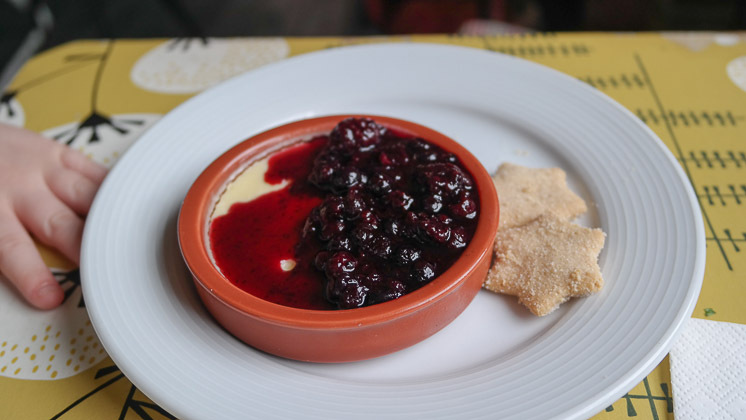 Claire’s posset was pretty with delicious shortbread. 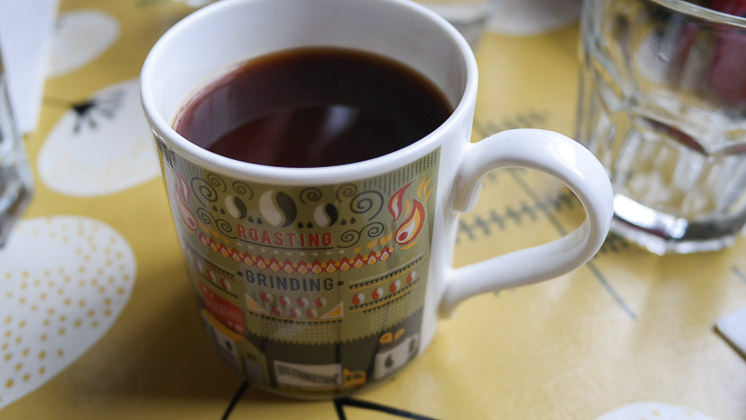 I also ordered an americano coffee – coming out in a large cup (it did seems like instant – but they had a coffee machine so must have been my taste buds). We were able to order JW a good Sunday lunch, which was half the price of the adults (£8.50). The serving was a good size. They had board games as well as drawing / colouring (I couldn’t find any pencils / crayons though – so think they ran out). Overall, ok for kids – but probably best to bring something extra to keep them entertained. 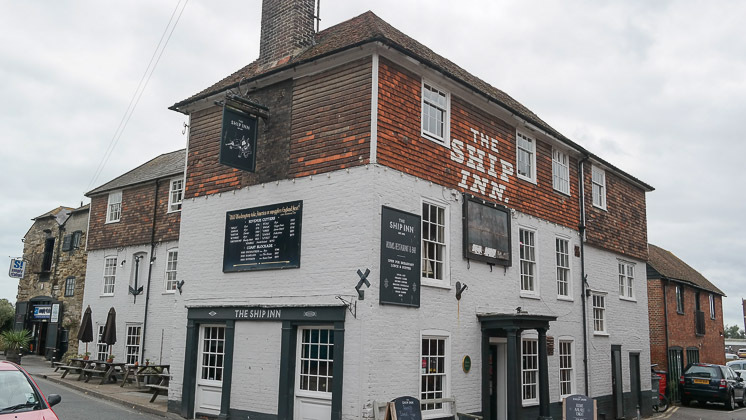 The service was very good at The Ship Inn in Rye, we had a good experience overall and it was partly down to them being welcoming and friendly. The pub was nice and with lots of hidey-holes. The food was good, I liked that they added some more unusual ingredients, such as chard and heritage carrots. The beef quality was ok, but I think that’s just nature rather than anything else. The only real issue was the cost – £17 for a Sunday roast is a tad expensive, but I suppose that’s Rye for you! 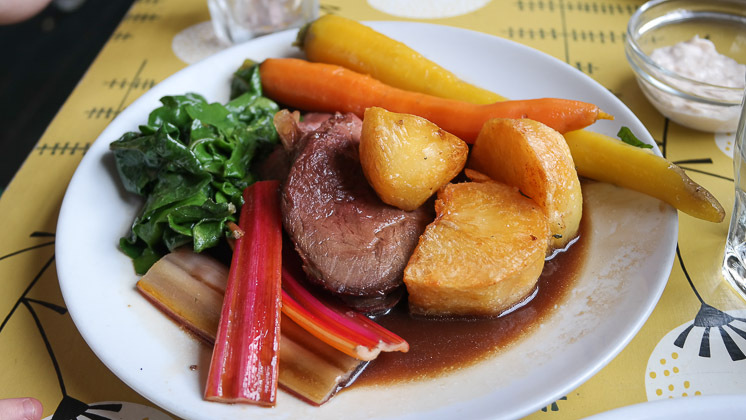 So – conclusion – The Ship Inn is a decent venue for a Sunday lunch with the family, scoring 4 out of 5.